About me: Maria del Pilar Naranjo Rico. Contemporary dance choreographer, dancer, teacher and researcher. Flamenco dancer and teacher. 2002 – 2006: high degree in kinetography Laban and movement analysis (labanotation). Exchange project between the (CNSMDP) Paris national conservatory for music and dance and the Barcelona high conservatory for dance. Click here to browse over my choreologist profile. 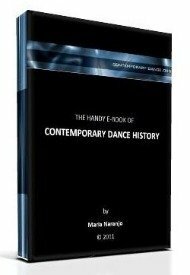 2003 – 2005: master degree in dance history. University of Paris VIII. 1997 – 2001: BA, emphasis in contemporary dance. High School for Arts (I.S.A. ), Havana, Cuba. 2002 - 2016: Flamenco studies. 2018: Dancer for Julia Flamenca. 2017: Choreographer of 7-120 and dancer for Julia Flamenca. 2015 - 2016: Dancer for Israel Heredia Cuadro Flamenco. 2014: Impronta en sus ojos (assistant director for Elsa Valbuena). 2013: El exilio de mi carne (dancer for Corpuslab/Jose Florez). 2012: Cuarta Compuerta 2012. Medellin, Colombia (director of the project as professor of the University of Antioquia). 2011: Intersticio (screendance) (dancer for Corpuslab/Jose Florez). 2011: Flash Mob Transformación de Medellín Medellín, Colombia (choreographer). 2011: Medea. Medellin, Colombia (dancer for the company Danza Concierto, directed by Peter Palacio). 2010: La Gaitana. Medellin, Colombia (dancer for the company Danza Concierto, directed by Peter Palacio). 2009: Lorca por siempre. Medellin, Colombia (dancer for the company Danza Concierto, directed by Peter Palacio). 2009: Música Colombiana y Danza. Medellin, Colombia (invited choreographer for a concert organized by the philharmonic orchestra of Medellin). 2009: Nadie Contesta. Medellin, Colombia (dancer for the company Imago Danza Contemporánea, project directed by Martha Echavarría). 2009: La carreta espacial. Medellin, Colombia (dancer for the company Imago Danza Contemporánea, project directed by Alonso García). 2008: El Menú. Medellin, Colombia (director of the project for the company Imago Danza Contemporánea). 2007: Fragmento de danza contemporánea para una bailarina y un músico(solo dance). Barcelona, Spain (director - dancer). 2002: Cuarta Compuerta. Medellin, Colombia (director of the project as independent choreographer). 2002: El pececito cantor. Medellin, Colombia (invited choreographer for the show of the kids company Cachito de Luna). 2001: Colegio los Pinares's show. Medellín, Colombia (invited choreographer). 2001: Danzada Ciudad. Medellin, Colombia (dancer for the project of the independent choreographer Maria Claudia Mejía). 2000: El burócrata – solo. Havana, Cuba (director - dancer). 2000: Las cinco patas del gato. Havana, Cuba (dancer). 1999: Si, un instante. Havana, Cuba (dancer). 1999: El espejo. Havana, Cuba (director). 1999: Segundo paso. Havana, Cuba (director). 1999: Somos la tierra. Havana, Cuba (invited choreographer - dancer). 1998: Primer Paso - solo. Havana, Cuba (director - dancer). 1997: El aire, el agua y la Tierra. Havana, Cuba (dancer). 1996: Juegos Teatrales. Medellin, Colombia (director, dancer). 2008 - 2019: chair professor, University of Antioquia, Colombia. 2008: chair professor, Corporación Ballet Folklórico de Antioquia, Colombia. 2002: chair professor, EAFIT University, Colombia. 2018: Co-investigator in the project "State of the art of dance in Medellín". "La Cinetografía Laban" en: ARTES La Revista N°7 Volúmen 4/ Enero-junio 2004, Editorial Universidad de Antioquia, Medellín, Colombia. "Utility of simplified Labanotation" in: Accelerando: Belgrade Journal of Music and Dance (Accelerando: BJMD) ISSN: 2466-3913. 2003: prize of the 200 years public merits contest. University of Antioquia, Medellín, Colombia. 2001: honourable graduate mention. I.S.A., Havana, Cuba. 2000: honourable mention to the choreographic project ´El Burócrata’. XI Percuba International Festival, Havana, Cuba. 2000: women dance interpreter prize. XIV Elsinor Festival , I.S.A. Havana, Cuba. 1999: special mention to the piece ´Segundo Paso’. I.S.A., Havana, Cuba. 2018: Member of the jury at the district grants program for dance creation. Bogotá, Colombia. 2017: Member of the jury at the call for incentives to artistic creation granted by the Instituto Municipal de Cultura y Fomento al Turismo. Pereira, Colombia. 2010 – 2015: Member of the jury at the auditions for the local cultural planning (PP) of the municipality of Medellin, Colombia. 2012: Member of the jury at the World Tango Championship, Medellin. 2012: Member of the jury at the Fourth Colombia Salsa Festival, Medellin. 2012: Member of the jury at the first open call for incentives to artistic creation granted by the Instituto Municipal de Cultura y Fomento al Turismo. Pereira, Colombia. 2017 - 2018: Flamenco teacher at María Isabel Ángel. 2015 - 2016: Flamenco teacher at Musicreando. 2001 – 2002: contemporary dance and dance composition teacher. Corporación Ballet Folklórico de Antioquia, Medellin, Colombia. 2002: hatha yoga teacher. Vertical Club, Colombia. 2002: dance teacher for the event “Veo un país – Colombia en el planeta”. University of Antioquia, Colombia. 2000 – 2002: contemporary dance and dance composition teacher. Charibari scenic arts school and Cachito de Luna company, Medellin, Colombia. 1999: Cuban modern dance technique. Claudia Cadena dance academy, Medellin, Colombia. 1998: Cuban modern dance technique. Jorge Robledo dance school, Medellin, Colombia. 1998: Cuban modern dance technique. Cedanza academy, Medellin, Colombia. 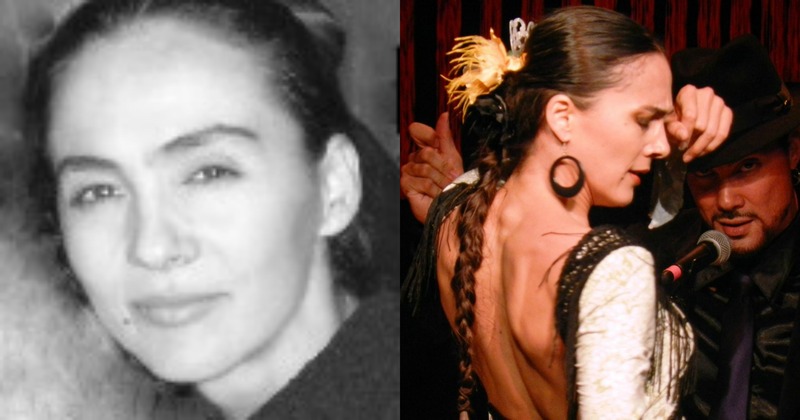 2002 - 2019: flamenco studies with different teachers in Spain, France and Colombia. 2001: contemporary dance workshop with Maureen Fleming (U.S.A.). Medellin, Colombia. 2001: tai chi chuan classes with Antonio Fong Alvarez y Caridad Zamora Utset (Cuba), wushu-kungfu Cuban federation members. Havana, Cuba. 2000: yoga and eutony workshop with J. Adrian Re (Argentina). Havana, Cuba. 2000: Müller and Cunningham techniques workshop (contemporary dance) with Jorge Rizzardi, (Argentina) Havana, Cuba. 1999: tango dance workshop. Danzarte academy, Envigado, Colombia. 1999: butoh and performance workshop with Carla Lobos (Chile). Havana, Cuba. 1998: yoga and belly dance workshop with Diana Dupont (Australia). Havana, Cuba. 1997: Cuban modern dance technique course with Esteban Delgado. Havana, Cuba. 1997: ballet course. Alejo Carpentier school. Havana, Cuba. 1997: Cuban modern dance technique course. Modern and folkloric dance national school, Havana, Cuba. 1997: ‘Cuballet’ course. Prodanza school. Havana, Cuba. 1996: Colombian folkloric dance courses at the Corporación Ballet folclórico de Antioquia, Medellin, Colombia. 1996: Contemporary dance workshop with Dora Arias (Colombia). Medellin, Colombia. 1996: clown workshop with Jango Edwards (Holland). Bogota, Colombia. 1992 – 1996: jazz dance and ballet courses. Cedanza school, Medellin, Colombia. 1983 -1991: Musical education. Diego Echavarría musical school, Fine arts school of Medellin, Tomas Luis de Victoria musical school, University of Antioquia music department. 1983 – 1993: Violin studies with Oscar Rendón, Margoth Levy, Raúl Vieco and Gonzalo Ospina. Medellin, Colombia. Spanish: mother language, talked and written.